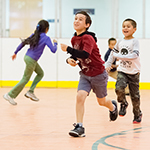 Kinesiology and community health professor Charles Hillman and his colleagues found that children who engaged in an after-school physical activity program performed better on several measures of cognitive function at the end of the intervention. CHAMPAIGN, Ill. - A nine-month-long, randomized controlled trial involving 221 prepubescent children found that those who engaged in moderate-to-vigorous physical activity for at least 60 minutes a day after school saw substantial improvements in their ability to pay attention, avoid distraction and switch between cognitive tasks, researchers report in the journal Pediatrics. Fitness, cognitive function and brain function improved in children in the FITKids exercise intervention group, researchers report. 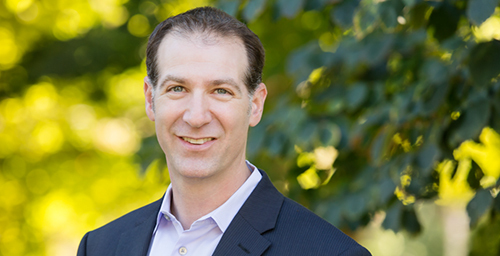 "Those in the exercise group received a structured intervention that was designed for the way kids like to move," said University of Illinois kinesiology and community health professor Charles Hillman, who led the study. "They performed short bouts of exercise interspersed with rest over a two-hour period." "On average, kids' heart rates corresponded with a moderate-to-vigorous level of exercise intensity, and they averaged about 4,500 steps during the two-hour intervention," Hillman said. The children were active about 70 minutes per day. "We saw about a six percent increase in fitness in children in the FITKids intervention group," Hillman said. Fitness improved less than one percent in the wait-list control group, he said. Children in the exercise group also demonstrated substantial increases in "attentional inhibition," a measure of their ability to block out distractions and focus on the task at hand. And they improved in "cognitive flexibility," which involves switching between intellectual tasks while maintaining speed and accuracy. Children in the wait-list control group saw minimal improvements in these measures, in line with what would be expected as a result of normal maturation over the nine months, Hillman said. "Kids in the intervention group improved two-fold compared to the wait-list kids in terms of their accuracy on cognitive tasks," he said. "And we found widespread changes in brain function, which relate to the allocation of attention during cognitive tasks and cognitive processing speed. These changes were significantly greater than those exhibited by the wait-list kids. "Interestingly, the improvements observed in the FITKids intervention were correlated with their attendance rate, such that greater attendance was related to greater change in brain function and cognitive performance," Hillman said. "Other research at Georgia Regents University led by Catherine Davis has actually used social and game-playing as their control group, and showed that the cognitive effects of their physical activity intervention are above-and-beyond those that are gained just through social interactions," he said. "The fact is that kids are social beings; they perform physical activity in a social environment," he said. "A big reason why kids participate in a structured sports environment is because they find it fun and they make new friends. And this intervention was designed to meet those needs as well." To reach Charles Hillman, call 217-244-2663; email chhillma@illinois.edu.